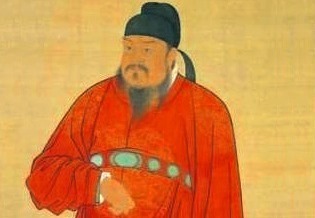 Emperor Gaozu of Tang (8 April 566 – 25 June 635), born Li Yuan, courtesy name Shude, was the founder of the Tang Dynasty of China, and the first emperor of this dynasty from 618 to 626. 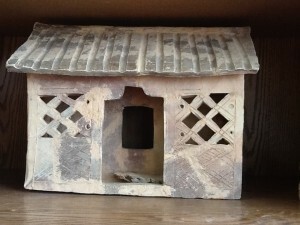 Under the Sui dynasty, Li Yuan was the governor in the area of modern-day Shanxi, and was based in Taiyuan. In 615, Li Yuan was assigned to garrison Longxi. He gained much experience by dealing with the Göktürks of the north and was able to pacify them. Li Yuan was also able to gather support from these successes and, with the disintegration of the Sui dynasty in July 617, Li Yuan – urged on by his second son Li Shimin (the eventual Emperor Taizong) – rose in rebellion. 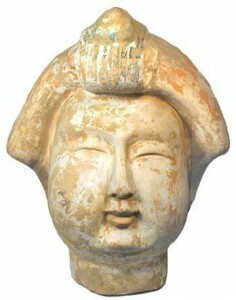 Using the title of “Great Chancellor“, Li Yuan installed a puppet child emperor, Yang You, but eventually removed him altogether and established the Tang Dynasty in June 18 618 as Emperor. His son and successor Li Shimin honoured him as Gaozu (“high founder“) after his death. Emperor Gaozu’s reign was concentrated on uniting the empire under the Tang. Aided by Li Shimin, whom he created the Prince of Qin, he defeated all the other contenders. By 628, the Tang Dynasty had succeeded in uniting all of China. On the home front, he recognized the early successes forged by Emperor Wen of Sui and strove to emulate most of Emperor Wen’s policies, including the equal distribution of land amongst his people, and he also lowered taxes. He abandoned the harsh system of law established by Emperor Yang of Sui as well as reforming the judicial system. These acts of reform paved the way for the reign of Emperor Taizong, which ultimately pushed Tang to the height of its power. In 626, Li Shimin, in a dispute with his brothers Li Jiancheng, the Crown Prince, and Li Yuanji, the Prince of Qi, ambushed Li Jiancheng and Li Yuanji at Xuanwu Gate, killing them. Fearful of what Li Shimin might do next, Emperor Gaozu passed the throne to him and became Taishang Huang (retired emperor). He died on 25 June 635.